Three chipmaking companies–one in the U.S. and two in South Korea–are being investigated simultaneously by the Chinese government. Micron Technology, the largest American chipmaker; Samsung Electronics; and SK Hynix, the world’s second-largest memory chipmaker, are being investigated by China’s Anti-monopoly Bureau of State Administration for Market Regulation, Chinese news site Jiwei Net reported on June 1. Micron has since confirmed that the Chinese regulators visited its sales office on May 31 for information, according to Bloomberg. It is unclear whether China’s investigation has to do with the class action lawsuit filed in April in the federal district court of northern California. That lawsuit, filed by the law firm Hagens Berman on behalf of U.S. consumers, accuses the three companies of DRAM price fixing, according to Forbes. DRAM is a type of computer memory chip that powers virtually all computers and most electronic devices. Together, the three companies control 96 percent of the global DRAM chip market, with Micron making up 22.6 percent of market share in the first quarter of 2018, according to Electronics Weekly. DRAM prices hit rock bottom in 2015 and 2016. Since then, however, prices have picked up and the three companies saw their profits double from the first quarter of 2016 to the third quarter of 2017, according to technology news site Fossbytes. Jiwei Net reported that the pricing bureau of China’s National Development and Reform Commission (NDRC) began its inquiry into Samsung Electronics late last year. The pricing bureau has since merged with the Anti-monopoly Bureau. 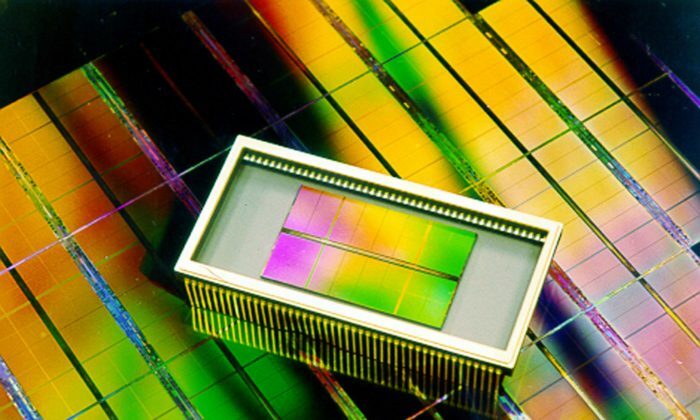 The timing of China’s investigation into Micron has raised speculation that China could be holding Micron hostage as a bargaining chip in its ongoing trade discussions with the United States. With ZTE, the Chinese telecoms firm currently being sanctioned by the United States, the regime has pressured the U.S. administration to ease sanctions in exchange for buying more American commodities.